Megadeth performed the live debut of the title track to their latest album, “Dystopia”, at the Pearl Concert Theater at Palms Casino Resort in Las Vegas, Nevada on February 26. The group delivered an instrumental version of the song for its first performance. “My question is, ‘Are you cool if we play this song and I don’t sing it’”, frontman Dave Mustaine asked the crowd. “I like the song, it’s just that we’re not quite there yet for the singing part but I want to play it for you cuz I love the song and I love you guys. 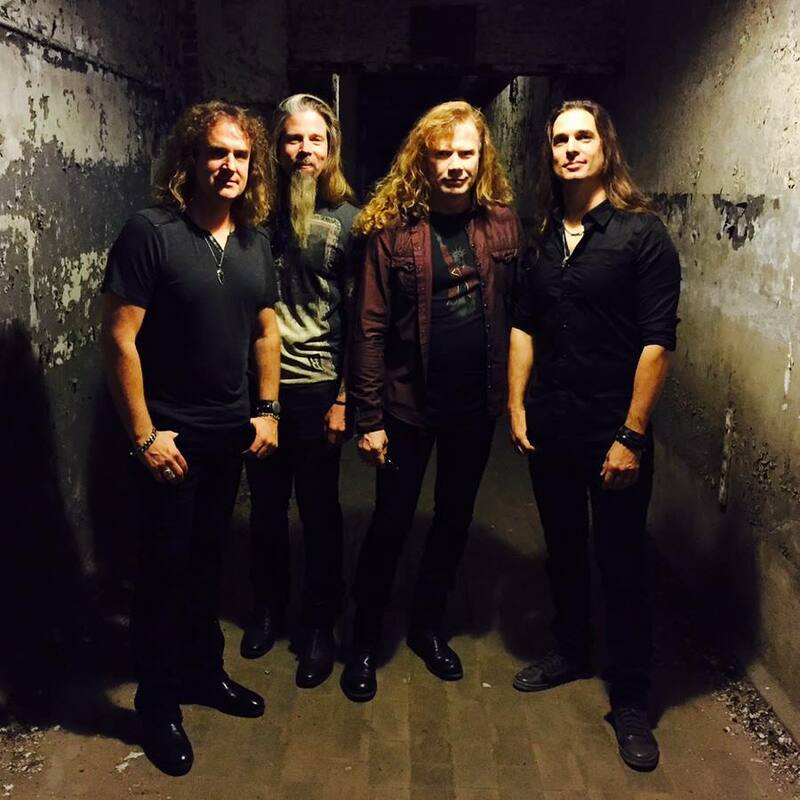 Megadeth launched the North American leg of the Dystopia world tour in Dallas on February 20. The 6-week trek sees the band joined by Suicidal Tendencies, Children Of Bodom and Havok. Megadeth's 15th album, “Dystopia” recently debuted at No.3 on the US Billboard 200 with opening week sales of 49,000 equivalent album units.